Do you want to setup your own business in Mumbai? If yes, then invest in food business for constant source of income. Food business or food sector in India is one of the high-growth and high-profit sectors in India. If you are looking for a business idea that can help you make more money with low investments then, Chaat Ka Chaska food franchise in Mumbai is the best opportunity for you. Chaat Ka Chaska is a venture of Brewbakes Cafe, one of the leading coffee cafe and food franchiser in India and now offering affordable street food franchise business in Mumbai. We serve delicious and mouthwatering street foods in hawker style to our customers but all the items are hygienically prepared and served. So, partner with one of India’s leading food business family and become your own boss by having a food store or cafe in Mumbai. Why Chaat Ka Chaska Franchise in Mumbai? When you are talking about the best cities for street foods then you can never forget about Aamchi Mumbai. Mumbai is not only famous as the center of Hindi-Cinema industry. People from every corner of the country come to Mumbai for fulfilling their dreams and that’s why Mumbai is often called as ‘the city of dreams’. People of Mumbai are foodies and in fact the city is heaven for the foodies. The one who come to Mumbai can never go back without eating the delicious street foods of Mumbai. The very famous street foods of Mumbai are Vada Pav, Bhelpuri, SevPuri, Pav Bhaji, Kebabas and rolls, Panipuri, Mumbai Sandwich and much more. 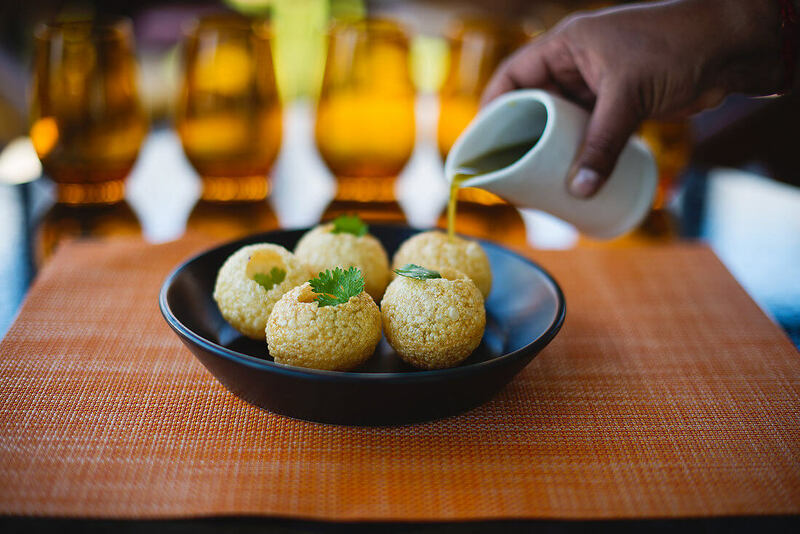 Mumbai is a paradise for foodies. But, people sometimes avoid eating street foods as they are unhygienic so, we serve our customers chaat and other street foods with its authentic tastes that are hygienically prepared and served. All items are prepared through finest quality ingredients so Chaat Ka Chaska food franchise will be a very safe business for you. Mumbai is densely populated and this is one of the main reason why you should start or setup your food franchise in Mumbai. There are infinite numbes of malls, shopping complexes and markets where Chaat Ka Chaska food franchise store can be established. Mumbaikars are foodies so, you don’t even need to put extra efforts to attract customers. You can make money by managing the local residents of Mumbai who are just in love with street foods. Apart from them the young professionals and students who live in Mumbai can be your potential customers as they have huge contribution in the demand of hangout places, food cafe and trendy restaurants. Opening your Chaat ka Chaska food franchise store in Mumbai will be a profitable venture for you. Chaat Ka Chaska serves delicious and lip smacking street foods like Tikki Chaat, Golgappa, Sevpuri, Bhelpuri, and much more. We offer you the best street food franchise business in Mumbai. We supply the products and ingredients also train the staffs to make delicious street foods with finest quality ingredients. If you have dreamed of becoming a business owner then, don’t miss the opportunity to be a member of India’s leading food brand and growing food business family.